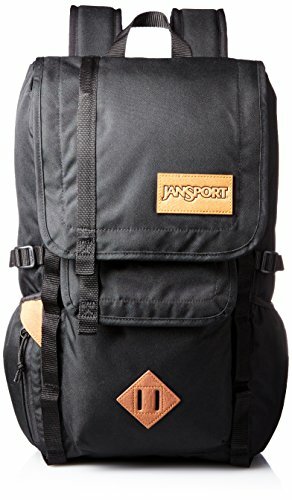 What’s the best daypack for travel? While we’ve already dived into the best carry on backpacks, those are more designed for people looking to pack it all in one bag. One is your main piece of luggage – a suitcase, duffel bag, or a backpack and the other your daypack. It feels like we always need a daypack when hopping around cities, hiking in the woods, or snowboarding in some glades. Even in a city, an urban daypack is great for carrying a camera, laptop, map, headphones, or your favorite water bottle. It’s pretty easy to neglect the daypack, but in reality, it’s an item you should take the time to get right. After all, your favorite travel backpack or luggage will only be with you when you change locations, but a daypack can spend the whole day on your back when you’re exploring a new city or deep in the jungle. These are our favorite daypacks for navigating the urban streets. These packs won’t make you stand out like a sore thumb. I also find them more comfortable than their outdoor counterparts since they’re designed to be thrown over the shoulder while on the go. The key detail of these packs is their sleek design and stylish features. The modern-day traveler is looking to conquer pavement and airports, not mountains and hiking trails. 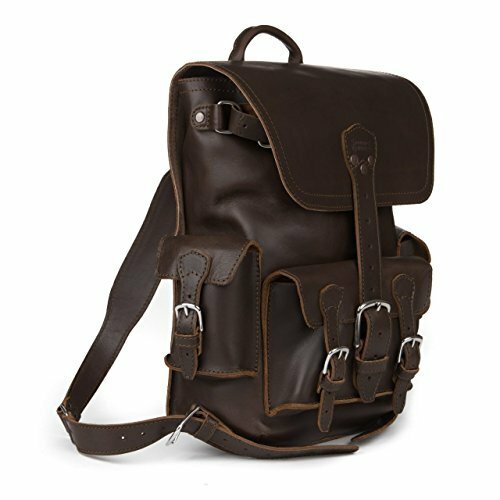 Saddleback Leather makes some of the best quality backpacks – hands down. Their leather backpacks are the best daypacks on the market and we don’t travel anywhere without them. They aren’t cheap by any means, but they are quality. Saddleback Leather ensures their products with a 100-year warranty. They only use sturdy materials on their bags including full grain leather, pigskin lining, and marine grade polyester thread. The lower back section is padded with Neoprene and the shoulder straps are completely adjustable. No, this bag won’t hold all of your luggage but is perfect for an overnight bag or as a carry-on addition to your main luggage. We also choose this bag as our go-to for safari bags! 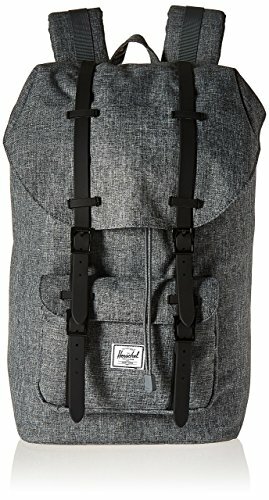 I love the design of this urban daypack. It draws from influences of outdoor gear and managed to make a stylish backpack that looks great in a modern environment. 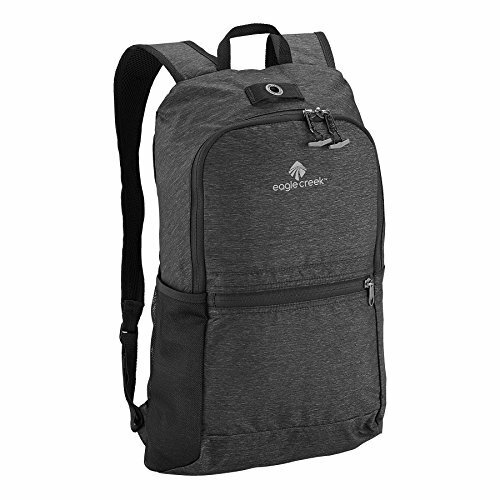 The pack features one main compartment with a series of sleeves perfect for organizing things such as a travel laptop, notepad, and headphones. It’s pretty hard not to love the looks of this daypack. The design and amount of space it the packs means it could even be used by minimalist travelers or those looking for a weekend escape. The roomy design and 28L of space means it can pack just about all you ever need in a daypack or backpack for that matter. First things first, this pack is made by Patagonia which is one of my favorite brands! Patagonia makes great quality gear and garments. Two years on the road and I still have my Patagonia that shows little signs of wear. I continue to buy more of their products. Patagonia’s Black Hole is everything I have come to love about the company. It features a ripstop polyester that is a water-resistant TPU laminate which makes it waterproof and super tough. The pack has a great look. An inner padded pocket is located on the inside to hold a laptop so it makes for a great bag in the city or out hiking in the woods. Another great feature is the daisy chain loops that allow for the attachment of things such as a skateboard, yoga mat, or climbing gear. This daypack is a slam dunk, but some might not like the laminate materials look. Also, it lacks compartments in the interior for the organization of your gear. You’ve definitely seenthis daypack before. When we lived in NYC these bad boys were all over of the streets and Tasha carried a green one. They have a classic look and it’s a simple backpack. No this isn’t a heavy duty travel daypack meant to tackle mountains, but with a great look and affordable price, we’ll take it. All of these packs are lightweight and can be stuffed into your main luggage. Packable daypacks are perfect for only traveling with one suitcase. No need to carry a backpack on the plane as it rides in your suitcase. We used an Eagle Creek packable daypack for the longest time and only ditched because we lost it in Cape Town. 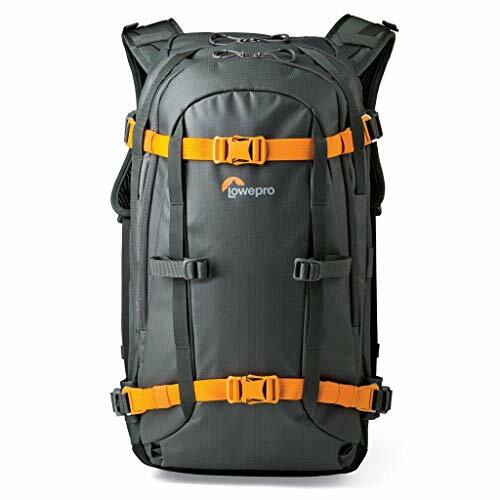 Daypacks in this category are some of the cheapest options and can save you a buck if you’re not looking to commit to a standard travel backpack. These daypacks for travel are purpose designed. They make a great choice. However, don’t expect anything this light to last for years on end. This pack is simply made from a fairly strong material and should be able to hold your daily essentials. It’s one of the cheapest options in this guide. 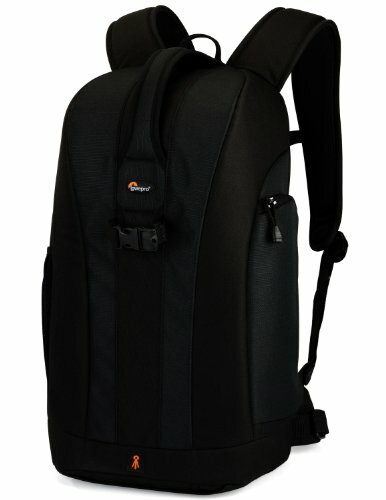 If you plan on carrying a laptop, camera, or books this probably is not the daypack for you. The loose design means things sit oddly on your back if they weigh anything. We personally used this pack in conjunction with our other daypack for shopping at the market. This packable daypack has water bottle pockets which are a sweet feature the Eagle Creek does not have and it’s cheaper. The only problem is we know and trust Eagle Creek’s durable products. It also comes with multiple pockets, a feature lacking in the Eagle Creek version. This could mean it doesn’t pack as well and leaves it more susceptible to travel damage. If you’re looking for the best daypack then you can’t go wrong with the offerings from outdoor companies. They come with a higher price, but they make up for it with all their extra features. Outdoor packs are function over form, but the best of them still have some looks. This is one of my favorite daypacks! It’s one of my favorite travel purchases and has held up marvelously. That is to be expected as Osprey backpacks come with a lifetime guarantee. 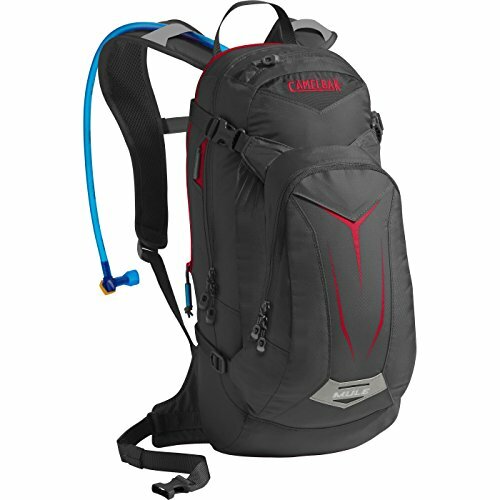 The pack is sleek, feels great on your back, and can carry a fair amount of stuff. It’s not the biggest pack with only 13L of space. It’s also made by Osprey who make some of the best large travel backpacks on the market. 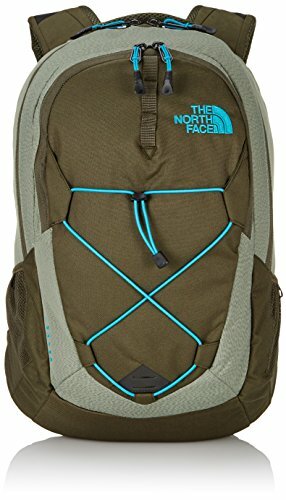 North Face is a well known outdoor brand and they make some great backpacks. The pack is comfortable and durable. The heavy duty design and vented back make it a clear winner for a travel daypack. 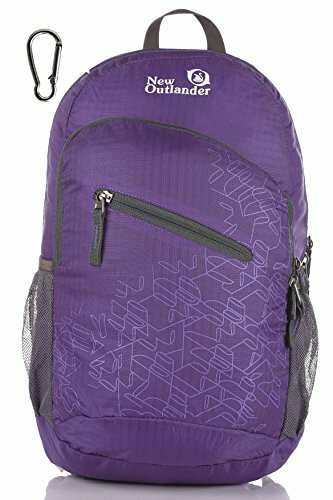 This pack is tremendous for the outdoor enthusiast who loves day hikes or outdoor sports. It’s super slim so it won’t become a burden on the trails and features a hydration bladder. That’s really what this pack is designed to do hug your back during activities. 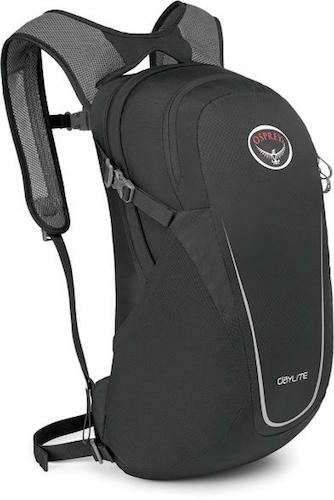 It has enough space to carry your gear, multiple compartments, and a helmet holder. If you’re big in mountain biking this pack was made for you. I’m only going to mention one of these because camera packs could warrant their own post. However, for those who are serious about their photography, that means a lot of heavy valuable equipment. This is the latest addition to our collection of backpacks and I couldn’t be more stoked on the bag. The camera bag is purpose-built for those who shoot photos and video in the harsh elements, specifically winter conditions such as climb or ski. Since it is designed for tough winter elements the build quality and design are truly impressive. I love that the bag opens from the backside that allows for you to comfortably throw the bag on the ground and reach for gear without fear of the bag tipping of getting gear wet. It also has side and front straps designed to carry a snowboard, skis, ice axes, or hiking/ski poles (massive win for our snowboard season). I like the pullout rain cover for heavy weather. The suspension system is also the most robust I’ve found in a camera bag so far, which is great when carrying 40lbs of gear up a hill. My only complaints would be the size of the top compartment which would be great for storing thing like a phone charging cables, or whatever accessories I may need on the mountain. There is a front compartment on the bag, but it’s one large section directly next to the camera gear so it needs to be able to bear weight. I’d also love a water bottle compartment to hold my travel bottle. For such a large bag designed to be outdoors I need some form of hydration. This bag is the perfect kit addition for any outdoor enthusiast looking to carry some gear high into rough conditions. These guys have been making camera equipment for decades and know what it takes to protect camera gear. They looked at what they need from a great photography daypack and built it. The pack has padded compartments designed to hold lens and cameras. It comes with a weather resistant rain cover and has a sturdy design that is sure to protect your gear. This is one of the camera bags we currently carry and it’s been a nice addition to our camera gear. My only complaint with this daypack are the straps on the daypack don’t feel very robust – they strain under heavy load. It doesn’t hold a robust amount of camera gear, but it is great as an all-around bag. With a laptop compartment, large top section, a divided camera section, water bottle/tripod holder, and small pocket the bag is perfect for everyday and travel. 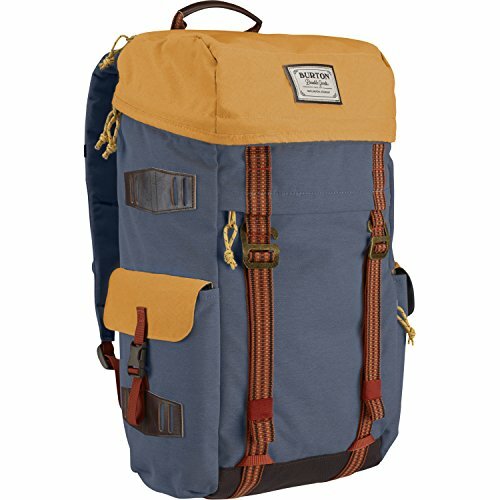 What Makes A Great Daypack? Like with anything, make sure that the daypack you choose is comfortable on your back. You should be able to hike comfortably for at least two hours. When buying online it’s a good idea to check the return policy in case the backpack does not fit you the way you would like. There are two basic designs of daypacks. You have the performance or urban backpacks that tend to be sleek with a good design. The other option on offer is the outdoor pack. It serves the traveler well, but it looks goofy when hopping in and out of cabs and walking through the streets of a city. How the bag stores your items when you travel is important, but it doesn’t mean a plethora of pockets. My favorite backpack has two interior pockets and it’s served me well for several years now. A good backpack doesn’t necessarily mean a bunch of bells and whistles. Make sure you narrow down if you want a top loading backpack or front loading, and check for any extra straps, harnesses, zippers, and clips you may or may not want and need. There is a whole range of daypacks that are designed to be rolled up and stored in a suitcase until you reach your destination. We love this feature! Is Cape Town the Most Photogenic City in the World? Welcome to the world as seen through the eyes of Cameron and Natasha. On this site you’ll find our experiences, photography, and informative travel guides. We love getting to off the beaten path destinations and aren’t afraid to go it alone. We hope to inspire other independent travelers and provide the resources to do so. If you want to find us, just head to the nearest coffee shop or check back here!